BRIGHTON, Mich. – Have you ever been pulled over by a police officer for speeding? If you have then you know that it can sometimes be a very frustrating experience and it can lead you to say some things that could really backfire on you. Use our list of things you should NEVER say to a police officer and you could save yourself a bit of money! “If I turn my car off then I won’t be able to turn it on again.”: Using this line on a police officer will not help you out at all, even if your car really is in bad shape. If you say this to a cop then it could be cause for them to think that your vehicle is unsafe to drive and therefore warrants another ticket. It’s best just to do as they say and turn your vehicle off, especially if it does turn on after you turn it off. “I didn’t bring my I.D.”: Obviously if you don’t have your I.D. when driving a vehicle then you will receive a large fine but this tip is more for cyclists. If you’re a cyclist then road rules apply to you too and if you are pulled over by an officer for let’s say running a red light then you will get a ticket. If you try to tell the officer you don’t have your I.D. and you do (or if you use a fake name) you could get in serious trouble. It is after all, illegal to lie to a police officer. “Why don’t YOU tell me how fast I was going?”: Using any kind of sarcastic tone when answering an officer’s question will only serve to irritate them and they may issue you a harsher ticket. Remember that police officers are people just like you and I and that they don’t deserve your attitude when they are simply performing their duty to society. These are, after all, the same people who would risk their lives to protect you if an emergency arose. 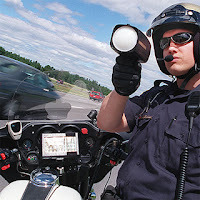 “There were several cars speeding, why didn’t you pull them over?”: Complaining to an officer about getting caught speeding will not help you win them over, in fact it will make them like you less. Imagine yourself as an officer and picture someone saying that to you. Yeah, ticket for sure. “I don’t know how fast I was going.”: Playing dumb will land you with a ticket no matter what. Police officers have people trying to get out of tickets all day long, they know when someone is being dishonest. Saying that you don’t know how fast you were going could make you seem like an inattentive driver as well and that could land you with a bigger ticket. Honesty is always the best policy. Keep this list of things to NEVER say to a police officer in mind for the next time you get pulled over and remember to breathe. 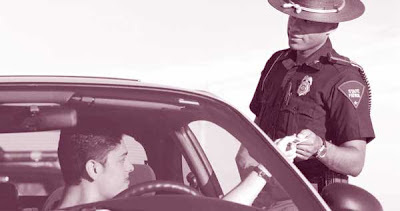 Getting a speeding ticket is not the end of the world and definitely not worth arguing with a police officer over. Brighton Ford is located at 8240 Grand River Ave. just north of I-96 in Brighton. We are a family owned and operated business that strives on customer satisfaction. Brighton Ford proudly serves the Ford needs of cities such as Howell, Ann Arbor, Hamburg, Saline, Fowlerville, Stockbridge, Okemos, Hartland, Linden, Highland, Wixom, Farmington, Livonia, Whitmore Lake, Kensington, Dexter, Ypsilanti, Pinckney, Webberville, Williamston, Gregory, Fenton, Milford, South Lyon, Novi, Farmington Hills, Southfield, New Hudson, Commerce and counties like Washtenaw, Genesee, Livingston, Oakland, Ingham as well as the Metro Detroit area. For more information on Brighton Ford visit BrightonFord.com or give us a call at (800)-836-8206.